Humans cannot survive without salt because it helps regulate the water content in the body. Most people think they should eliminate salt from their diet, which is not a complete truth. While table salt or refined salt is toxic and unhealthy, your body needs natural pure salt to complete several processes. It means you should avoid the wrong type of salt but look for a better alternative such as Celtic sea salt, harvested through the Celtic method that uses wooden rakes to prevent exposure to metals. Benefits of Celtic sea salt come from the way it's harvested. Celtic sea salt is sun-dried and aired in clay ponds. It is then gathered with the help of wooden tool to ensure its living enzymes are intact. As it is unrefined salt, it provides you with 84 beneficial live elements, without the addition of any preservatives or chemicals. Sodium is an essential mineral needed by the body to control blood pressure and volume. It is extremely important for proper nerve and muscle function. Healthy adults should consume at least 2,300mg of sodium a day, whereas people with a history of heart disease should limit their sodium intake to 1,500mg. Celtic sea salt helps you get your recommended daily intake of sodium. One of the many Celtic sea salt benefits is that it balances out the minerals in the body and offers healing benefits. Regular consumption may help eliminate excess mucus, which in turn reduces congestion in your nasal passages and lungs. It improves your immune system and gives your body the power to recover from injuries. It actually enhances your cells' ability to resist infections and bacterial diseases, which not only prevents infections but also heals your body quicker. You may also consider taking a bath after dissolving sea salt in your bathwater to promote wound healing. Gargling with pure salt water may also help ease sore throats. Unlike refined salt, Celtic sea salt is actually good for your cardiovascular health. Consuming Celtic sea salt with adequate amount of water actually helps stabilize irregular heartbeats. It also normalizes your blood pressure and is quite beneficial for people with high blood pressure. Regular consumption of sea salt improves the health of nerve cells. This makes it easier for them to communicate and process information. It also plays a role in extracting toxins and excess acidity from your brain cells, which in turn promotes better brain function. You suffer from serious health complications when your body is acidic. Sea salt helps extract excess acidity in the body and make it more alkaline. It removes excess acid wastes from your cells and helps maintain a healthy acid-alkaline balance. At the same time, it prevents water retention – it helps maintain an electrolyte balance and eliminate the retained water from your system. Celtic sea salt benefits also include its ability to stabilize blood sugar. People with diabetes have a hard time maintaining their blood sugar levels, and that is when Celtic sea salt can be of great help. Replacing refined salt with unrefined salt may actually help to balance blood sugars. You are going to feel tired when your body does not have enough sodium and trace minerals. The solution is to include Celtic sea salt in your diet, which helps regenerate hydroelectric energy in the cells. Moreover, the abundance of trace minerals in your diet will help calm your nervous system, which enables you to have a restful sleep. Getting enough sleep at night is important to feel energetic during the day. Just take sea salt with warm water before bedtime to promote a deeper sleep – it also keeps you from waking up in the middle of the night with an urge to urinate. Your body will start cramping up when there is an electrolyte imbalance. In other words, you experience muscle cramps when your body loses sodium. You can refuel your body quickly by consuming Celtic sea salt. It provides you with the right amount of trace minerals and relieves muscle cramps. If you have been dealing with kidney stones for a while now, consider replacing refined salt with Celtic sea salt. Many people have confirmed how effective sea salt is in terms of dissolving kidney stones. Regular consumption may also help prevent and dissolve gallbladder stones. Drooling in your sleep can be quite embarrassing and troublesome too. It sometimes means you do not have the right kind of salt in your body or you are dehydrating. Leaving it untreated increases your chance of developing double chin, which is the result of your saliva glands working hard to lubricate your throat and mouth. You should increase your water intake and consume Celtic sea salt to treat this condition. It is important to find unrefined Celtic salt to enjoy the amazing Celtic sea salt benefits. 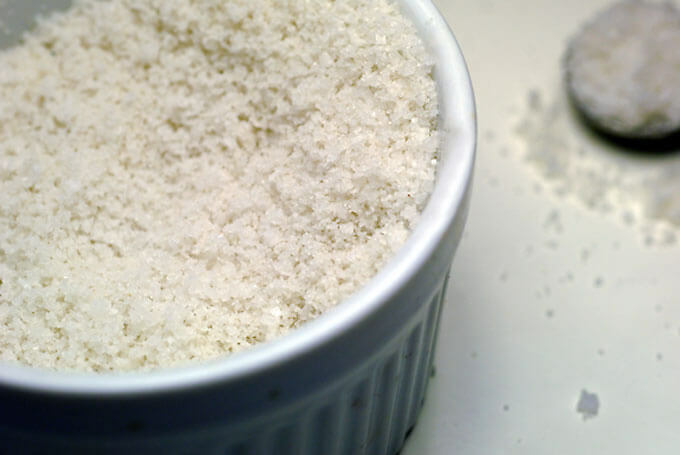 Natural sea salt is light grey in color, which is mainly due to a mix of clay and sea minerals. 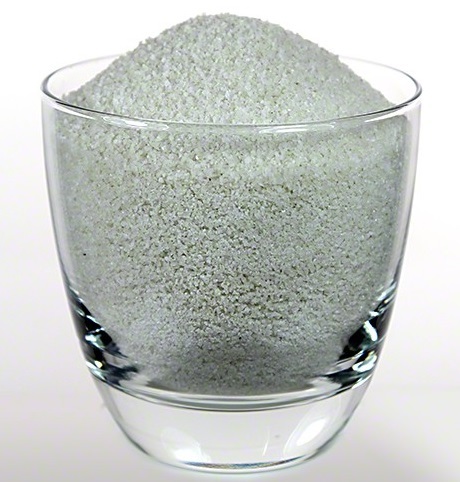 The clay helps ionize the minerals in the sea salt and makes it even more beneficial. Celtic sea salt is a bit moist to the touch and retains its moisture even when you store it in a cool place. You can find light grey Celtic sea salt and fine ground Celtic sea salt with ease. Light grey sea salt means it has been dried by the summer wind and sun – no processing is involved here. It is great for cooking and you can use it on the table after grinding with a ceramic salt grinder. You should avoid metal grinders though. Fine ground Celtic sea salt is the same light grey salt but is ground for convenience. It does not contain any chemicals though. It may clump easily, so you may consider adding a few grains of rice to the shaker to prevent the problem. No matter what type of Celtic sea salt you use, just make sure to drink plenty of water to keep your body hydrated while using the salt. What Are Multivitamin with Minerals Used For?